Top Stories: There is no Prime Minister and no state in the country. I will take necessary steps in the next 24 hours, "President Maithripala Sirisena said. 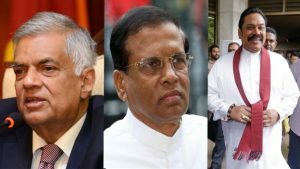 The meeting was attended by President Mahinda Rajapaksa Sirisena, Leader of the Tamil National Alliance and Leader of Opposition R. Sampanthan. At this time, he was informed that the Tamil National Alliance's official logo has been posted. "No Prime Minister is in the country following the order of the Court of Appeals. There is no government. So I will take action within the next 24 hours.